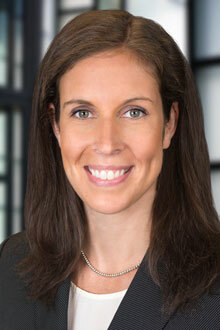 Christy Centeno is a partner in the Hartford office of Lewis Brisbois and a member of the General Liability Practice. Ms. Centeno focuses her practice on general liability, products liability, asbestos, and toxic tort defense. Since joining Lewis Brisbois, she has handled all phases of litigation including discovery and motion practice, taking and defending depositions, and attending mediation and pretrial conferences. She additionally maintains regular contact with her clients and engages in settlement negotiations with opposing counsel. Prior to joining the firm, Ms. Centeno spent 7 years working for staff counsel offices for two Fortune 500 insurance companies. During her time doing staff counsel defense work, Ms. Centeno managed a heavy caseload of personal and commercial automobile and premises liability cases through all aspects of litigation including taking and defending depositions and attending pretrial conferences, mediations, arbitrations and oral arguments. Ms. Centeno additionally completed eight jury trials through verdict. While in law school, Ms. Centeno had the unique opportunity to work extensively on an amicus curiae brief for the Appellate Court, regarding domestic violence and divorce issues. She also gained experience with employment law while working as a law clerk for a small Connecticut employment firm. When Ms. Centeno first got out of law school, she worked as an associate for a small personal injury and family law firm which allowed her to gain exposure to the areas of personal injury, workers’ compensation and matrimonial law.